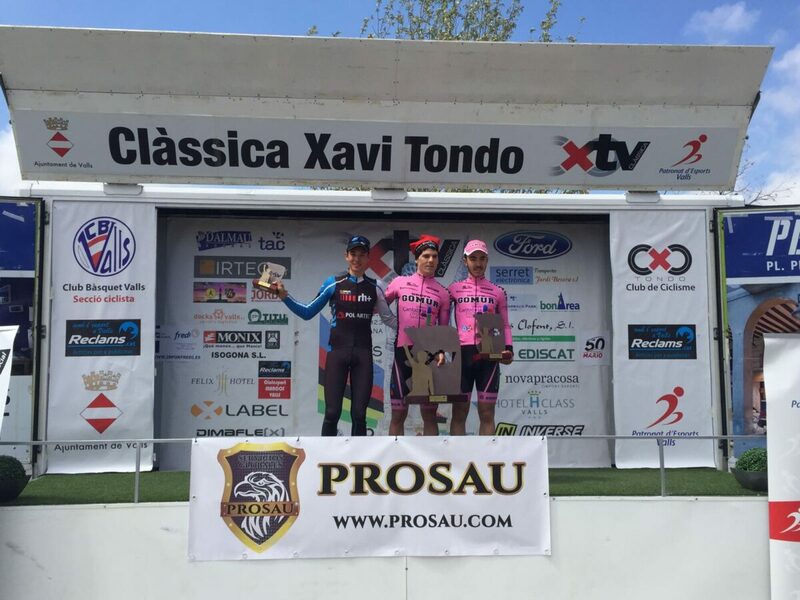 Fernando Barceló today took third place in the sprint with concluded the I Xavi Tondo Memorial, seventh race in the Cup of Spain Under-23 and where also Miguel Ballesteros retained second place overall, with what RH+/Polartec options remain intact with four more race to go. The I Xavi Tondo MemoriaI was held in Valls on a fast parcours that ended up in a final sprint of a 80 riders group, where all favorites were in. The victory was for a fast man, Antonio Angulo, followed by his teammate Alejandro Iglesias. Fernando Barceló, without being a sprinter, managed to be very well positioned and that earned him a third place that also imply to advance a place in the Cup of Spain overall. Waiting for XXXII Torredonjimeno Classic, which will be run next Sunday, RH+/Polartec men today have consolidated their positions in the provisional general clasification, where the team of Alberto Contador Foundation is also leader. Gonzalo Serrano (413 points) is the provisional leader, followed by Miguel Angel Ballesteros (406), Fernando Barceló (378), Jose Manuel Diaz (370) and Jaime Sureda (357).